The certification . 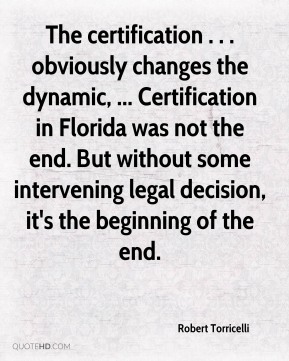 . . obviously changes the dynamic, ... Certification in Florida was not the end. But without some intervening legal decision, it's the beginning of the end. There were no gifts. Everything is properly accounted for. 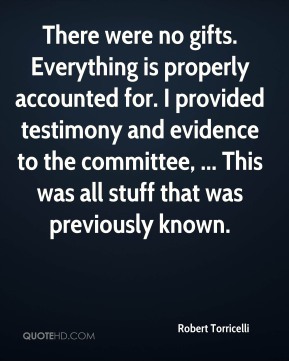 I provided testimony and evidence to the committee, ... This was all stuff that was previously known. 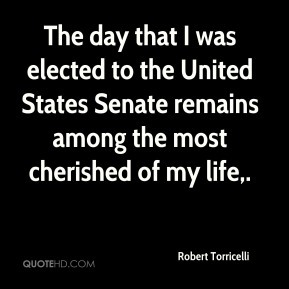 The day that I was elected to the United States Senate remains among the most cherished of my life. I most certainly have made mistakes, ... 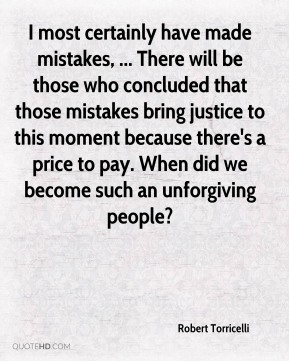 There will be those who concluded that those mistakes bring justice to this moment because there's a price to pay. When did we become such an unforgiving people? [Sen. Robert Torricelli (D-N.J.) shot back that Republicans were obstructing justice through their threats of impeachment.] 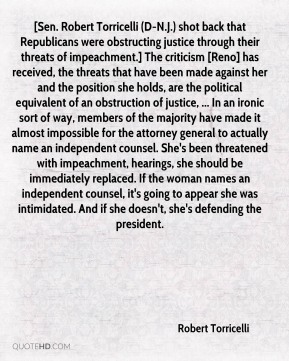 The criticism [Reno] has received, the threats that have been made against her and the position she holds, are the political equivalent of an obstruction of justice, ... In an ironic sort of way, members of the majority have made it almost impossible for the attorney general to actually name an independent counsel. She's been threatened with impeachment, hearings, she should be immediately replaced. If the woman names an independent counsel, it's going to appear she was intimidated. And if she doesn't, she's defending the president. Clearly this test the limits of constitutionality under First Amendment laws, ... I think it's very difficult to legally and constitutionally to say to third party groups that they can't spend their money the way they want to. 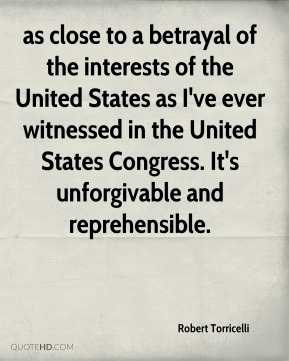 as close to a betrayal of the interests of the United States as I've ever witnessed in the United States Congress. It's unforgivable and reprehensible. 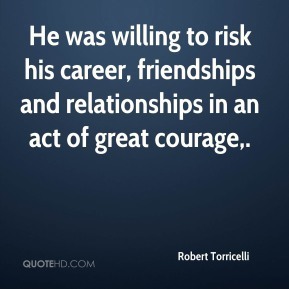 He was willing to risk his career, friendships and relationships in an act of great courage. 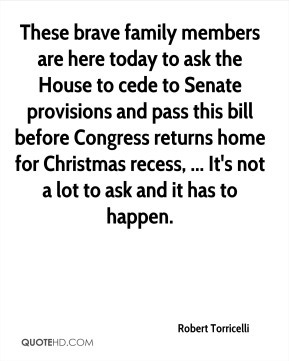 These brave family members are here today to ask the House to cede to Senate provisions and pass this bill before Congress returns home for Christmas recess, ... It's not a lot to ask and it has to happen. 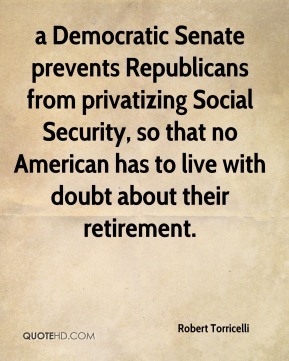 a Democratic Senate prevents Republicans from privatizing Social Security, so that no American has to live with doubt about their retirement. The simple truth is, in some cases, the lucky ones die. 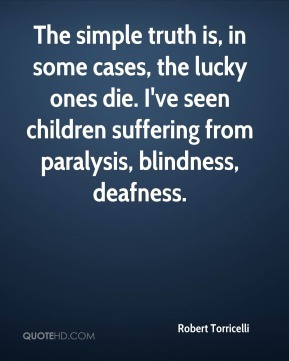 I've seen children suffering from paralysis, blindness, deafness. 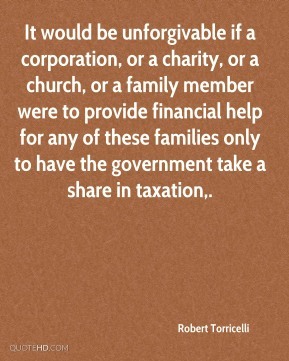 It would be unforgivable if a corporation, or a charity, or a church, or a family member were to provide financial help for any of these families only to have the government take a share in taxation. 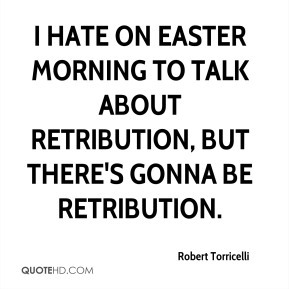 I hate on Easter morning to talk about retribution, but there's gonna be retribution.